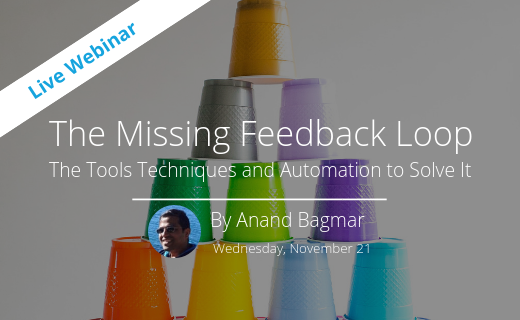 Please note that the webinar will be on 21st November. 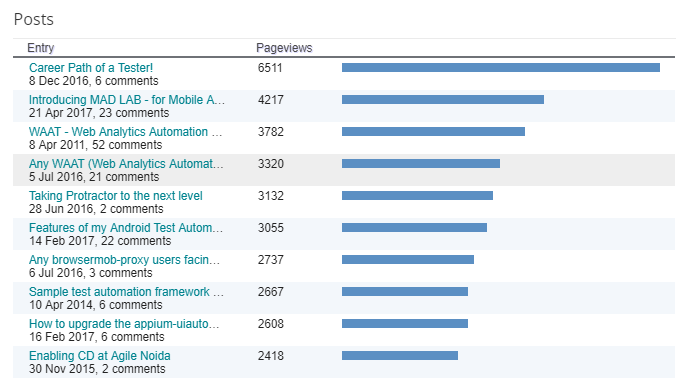 Is the Future of Test Automation I predicted already here? Today, almost at the end of 2018, I have come across many tools focused on making Test Automation, easier, faster, reliable and more valuable to the teams & the product - like testim.io, testcraft.io, katalon, cypress.io, mabl, test.ai, etc. These tools are very interesting and very promising for the value proposition they are bringing to the table. As I reflect on these shiny new tools, my mind wanders back to 2009 / 2010 when I was toying with the idea of what would be next in Test Automation Tools & Infrastructure space. 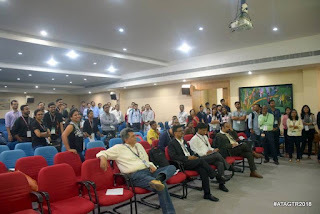 I had penned my thoughts and published an article on ThoughtWorks Insights with the title - "Future of Test Automation Tools & Infrastructure" (https://www.thoughtworks.com/insights/blog/future-test-automation-tools-infrastructure). If we look deeper in my post, the tools I mentioned above (and many others that I probably am unaware of), are conceptually on the lines of what I had sort-of thought in 2009 / 2010. They are using a very interesting blend of past experiences, in some cases advanced technology like AI & ML, in some cases leveraging cloud / SaaS model, and more importantly - pushing the boundaries to do things differently! I am personally very happy to see this happen. That gets another set of questions in my mind now - if what I had thought of back then is now true, and a reality, then what is next? What will the next generation of new, interesting, shiny tools look like in the next 5 years? 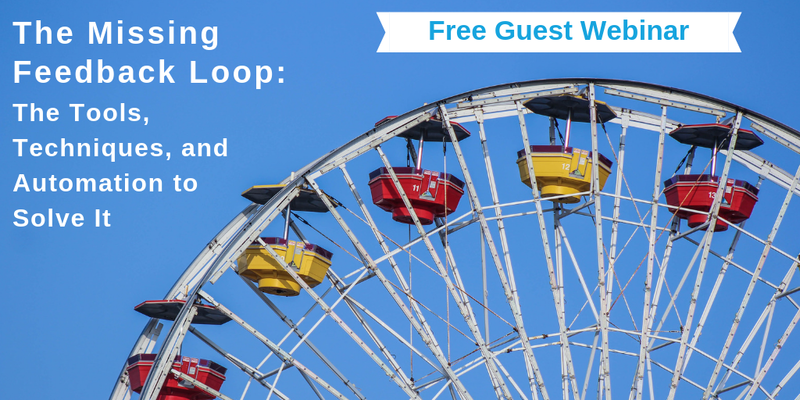 I am very excited to share that I am going to conduct a webinar hosted by testcraft.io on "The Missing Feedback Loop - The Tools, Techniques, and Automation to Solve It". You can register for the webinar from here (https://hubs.ly/H0fp4by0). The last few weeks have been very hectic for me. In between my consulting assignments, I traveled to Krakow, Poland for Agile & Automation Days 2018, and then to Arlington, Virginia in USA for STPCon Fall 2018. 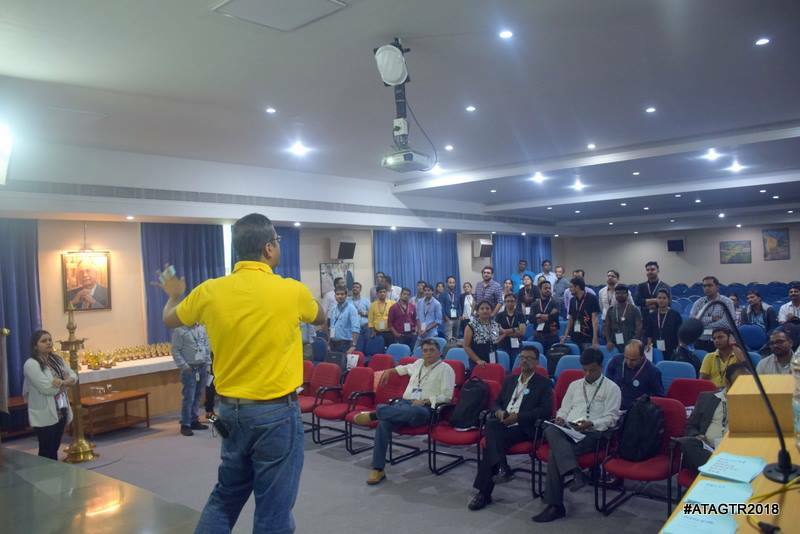 In the Agile & Automation Days 2018 conference, I spoke about "Measuring Consumer Quality - The Missing Feedback Loop" and conducted a 1/2 day workshop on "Analytics Rebooted - A Workshop". In STPCon Fall 2018, I conducted 2 workshops - 1/2 day each - "Practical Agile Testing Workshop" and "Analytics Rebooted - A Workshop" and also spoke about "Measuring Consumer Quality - The Missing Feedback Loop"
Overall, I had a very good trip, amazing conversations and interactions with the attendees and the speakers. I would be lying if I say I am not tired and my throat has gone sore. But, would I do this again? Absolutely! Going to conferences and meeting people, sharing my experiences with them, and learning from their experiences gives me a lot of happiness and satisfaction. Below are the abstracts of the workshops and the talk. Contact me via LinkedIn, or twitter, or my site - essenceoftesting.com if you need any additional information, or if you want help in learning / implementing these or other topics related to Quality / Testing / Automation. The Agile Manifesto was published in 2001. It took the software industry a good few years to truly understand what the manifesto means, and the principles behind it. 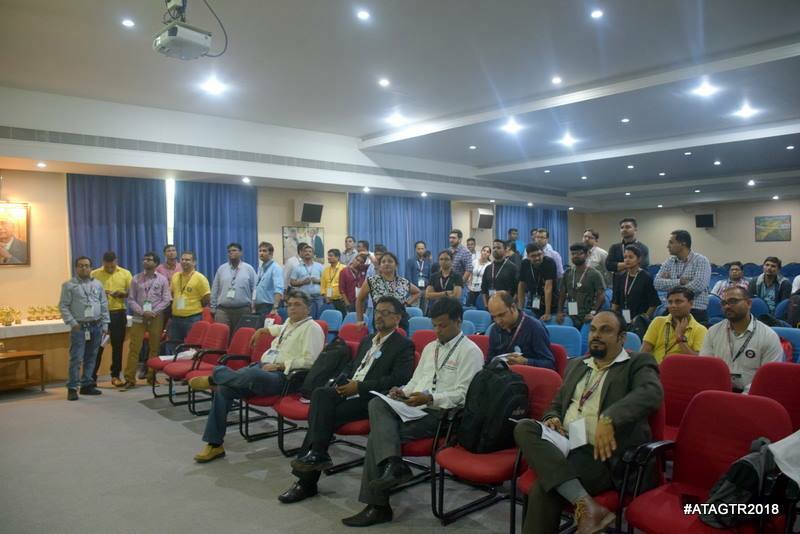 However, choosing and implementing the right set of practices to get the true value from working the Agile way has been the biggest challenge for most! 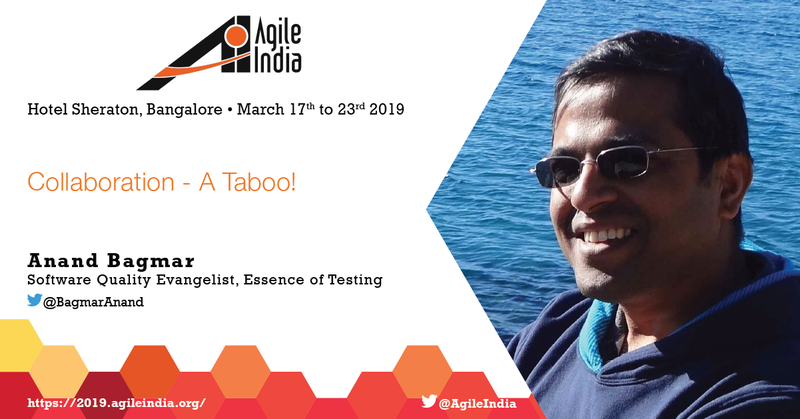 While Agile is now mainstream, and as we get better at the development practices to “being Agile”, Testing has still been lagging behind in most cases. A lot of teams are still working in the staggered fashion (a.k.a. Iterative waterfall way of working). 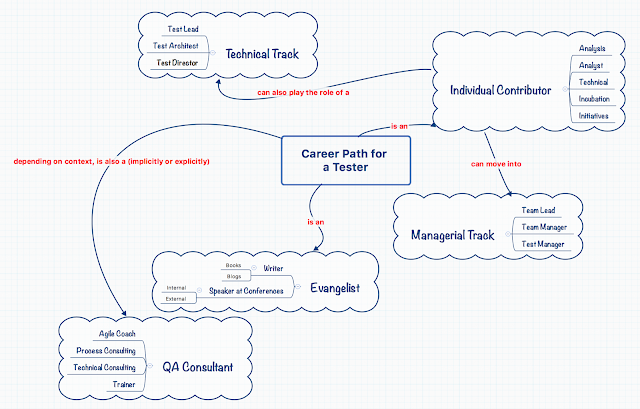 Here teams may be testing after development completes, or Automation is done in the next Iteration / Sprint, etc. In this workshop, we will learn and share various principles and practices which teams should adopt to be successful in testing (in-cycle) in Agile projects. Effective strategies for Distributed Testing - Learn practices that help bridge the Distributed Testing gap! Test Automation in Agile Projects - Why? What? How? - Why is Test Automation important, and how do we implement a good, robust, scalable and maintainable Test Automation framework! Build the "right" regression suite using Behavior Driven Testing (BDT) - Behavior Driven Testing (BDT) is an evolved way of thinking about Testing. It helps in identifying the 'correct' scenarios, in form of user journeys, to build a good and effective (manual & automation) regression suite that validates the Business Goals. Understand the Agile Testing Manifesto. Learn the essential Testing practices and activities essential for teams to adopt to work in Agile way of working. Discover techniques to do effective testing in distributed teams. Find out how Automation plays a crucial role in Agile projects. Learn how to build a good, robust, scalable and maintainable Functional Automation framework. Learn, by practice, how to identify the right types of tests to automate as UI functional tests - to get quick and effective feedback. 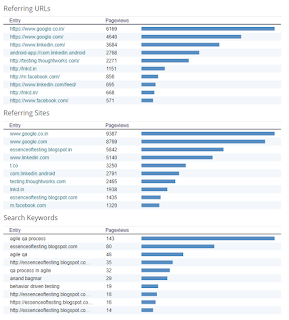 This is all done purely on Analytics! Hence, to say “Business runs on Analytics, and it may be OK for some product / user features to not work correctly, but Analytics should always work” - is not a myth! 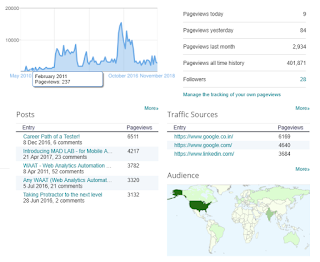 What this means is Analytics is more important now, than before. 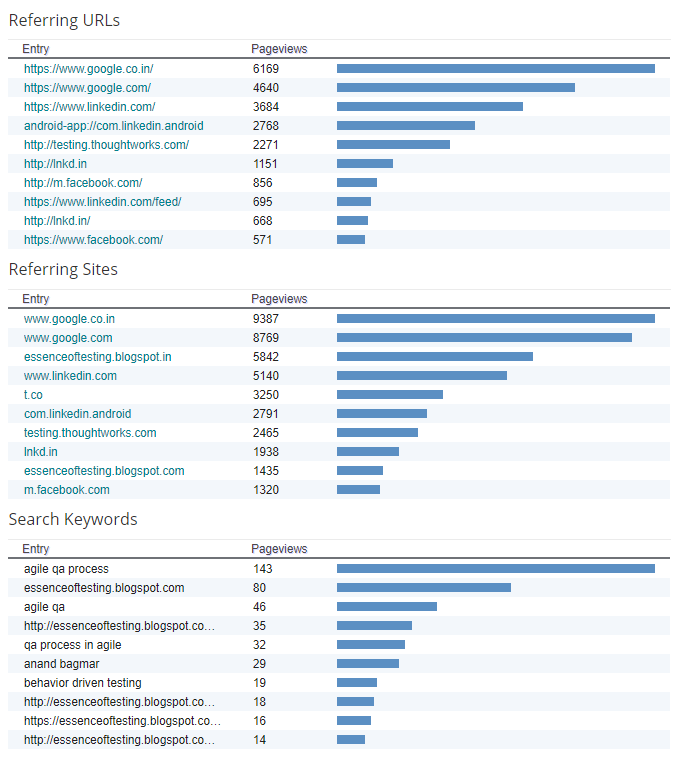 How does Analytics works (for Web & Mobile)? 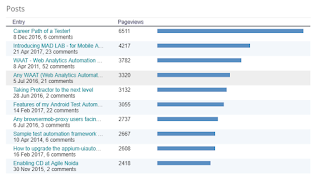 Why some Automation strategies will work, and some WILL NOT WORK (based on my experience)! We will see demo of the Automation running for the same. How to build a good quality product is not a new topic. 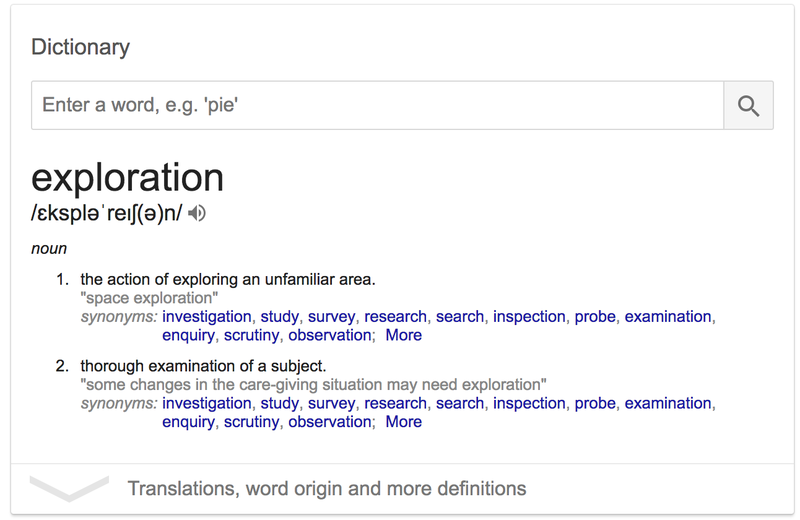 Proper usage of methodologies, processes, practices, collaboration techniques can yield amazing results for the team, the organization, and for the end-users of your product. 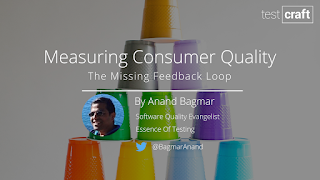 While there is a lot of emphasis on the processes and practices side, one aspect that is still spoken about “loosely” - is the feedback loop from your end-users to making better decisions. SO, what is this feedback loop? Is it a myth? How do you measure it? Is there a “magic” formula to understand this data received? How to you add value to your product using this data? Can you draw inferences and patterns from the data to reach of point of being able to make predictions on Consumer behavior, before making any code change? What is Consumer Quality and how does it help shape your business! Conference season here is - talks, workshops, travelling, networking! September & October 2018 is a busy conference season for me. On 27th September, I played a game - "Collaboration - A Taboo!" at ATA GTR 2018 with an audience of 100+ people. There was absolute chaos in the game - a lot of it self-inflicted ... and thankfully - exactly was I wanted it to be. So much fun, energy and enthusiasm in the room meant there was no one feeling drowsy in the post lunch session! Typically I play this game in 45-min to 1 hour duration. At ATA GTR 2018 though, I had only 30 min to play the game, and add my own twist on top of it. But, never have I ever taken more than the allocated time - and I managed to get the objectives of the game achieved as well in these 30 min. Below are some pictures from the game. 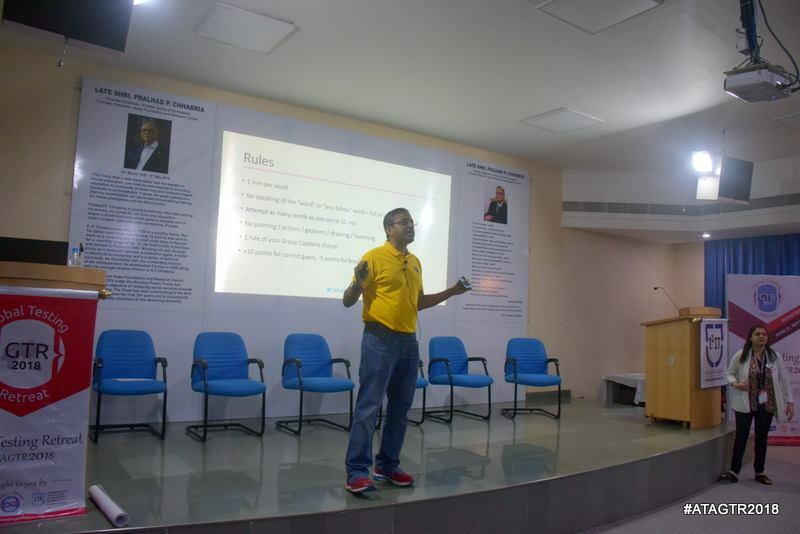 Then on 28th September, I spoke on "Measuring Consumer Quality - The Missing Feedback Loop" at StepIn's PSTC 2018. Slides from that talk can be found here. In October, I will be off to Agile & Automation Days in Krakow, Poland. 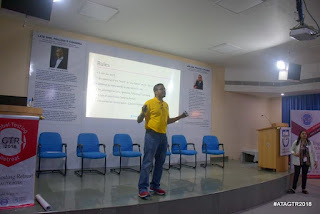 Here I will be speaking about "Measuring Consumer Quality - The Missing Feedback Loop" and also conducting a workshop on - "Analytics Rebooted - A Workshop". See detailed schedule here. Then I fly directly to Arlington, VA to participate in STPCon Fall 2018. 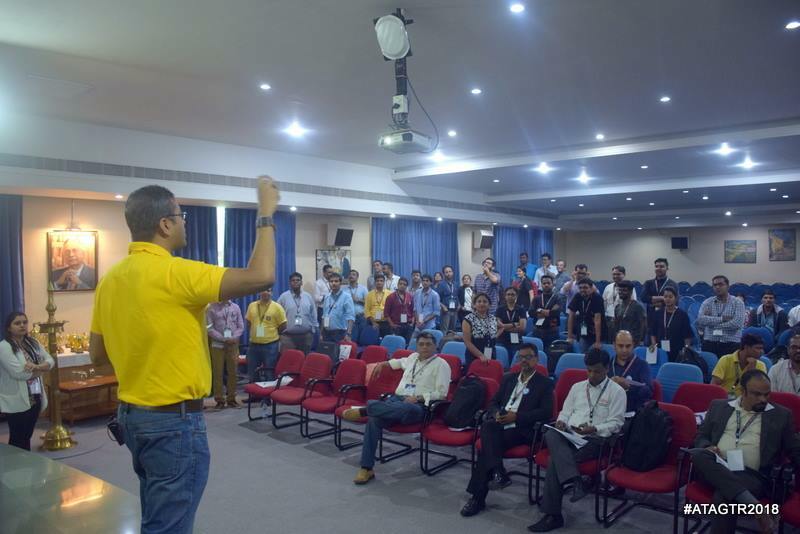 Here I will be conducting 2 workshops - "Analytics Rebooted - A Workshop" and "Practical Agile Testing Workshop". I am also speaking about "Measuring Consumer Quality - The Missing Feedback Loop". Will share experiences from these conferences soon! The list is actually quite long - but that is not the intention of this post. The main takeaway in my learning at ThoughtWorks though, is how to Test better, and be more effective in that for the end-user. Even before my time at ThoughtWorks, I never agreed with the thought process that Functional Automation can / should be done only when the feature is stable. But at ThoughtWorks, I did learn many more tips and tricks and techniques and processes how to do this Functional Automation in a better way, as the product is evolving. 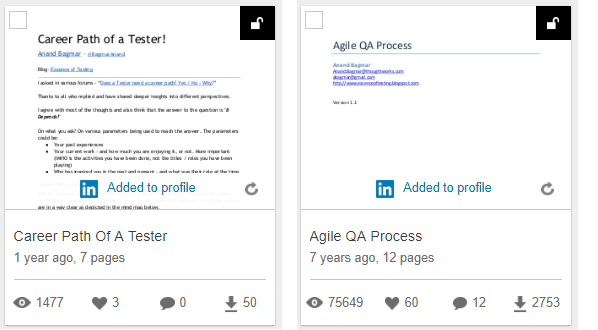 On 9th April 2011, I had written a detailed blog post / article regarding how can we test better in the Agile world. This post was titled - "Agile QA Process", and the document was uploaded to slideshare with the name - "Agile QA Process". 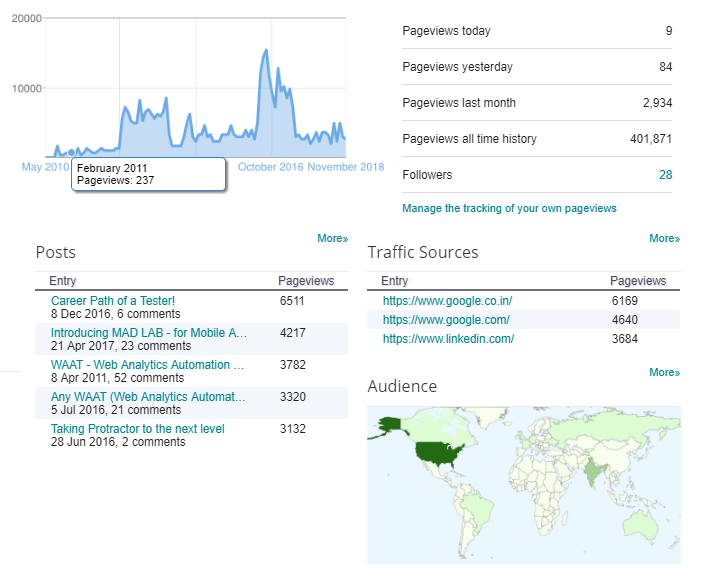 I am very pleasantly surprised that till date, that document has had over 74K views and almost 2.7K downloads, and is still my topmost viewed post on slideshare. When I look back at the document, it still seems very relevant and applicable, to me! Following up on my earlier post about ODSC - Data Science, AI, ML - Hype, or Reality?, I thought it is good to also share some of the good examples of work happening in the field. Why complex? Think about languages, dialects, multiple conversations at the same time, different speed of talking, etc. 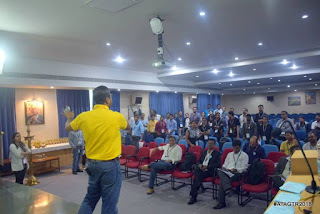 Ex: Optimizing Cab scheduling / routing - There was a good session on how OLA manage its complexity in scheduling and routing - which is very applicable to eCommerce, Aviation industry, Hotel industry, etc. Also, Dr. Ravi Mehrotra, from IDeaS made a very powerful statement in his keynote - that I loved!! He said - "Best way to learn, is to forget what is not important". This statement resonates a lot with what I think .... one needs to forget what is not (as) important, in order to focus and prioritize on what is important and can add value. Especially true for Testers to keep in mind! I got a chance to attend ODSC India, held in Bangalore on 31st Aug / 1st Sept. For those who don't know, ODSC is the largest Applied Data Science and AI conference, and it was conducted in India the first time this year. I was attending a conference after a long time (i.e. where I was not speaking). So this was going to be a pure learning and knowing expedition for me. Data Science / AI / ML have become huge buzzwords in the industry now. I had some opinions about it - but that was with limited knowledge / understanding about it. I was hungry to learn some specific of these buzzwords. 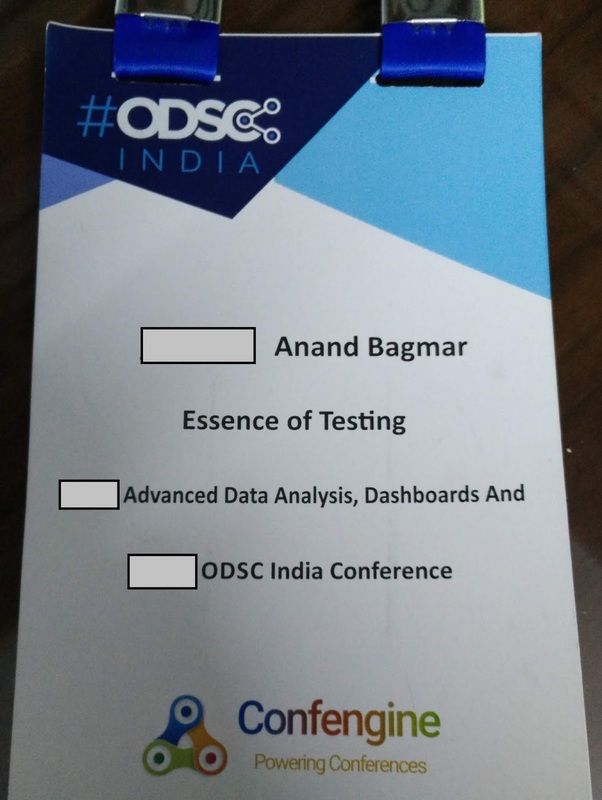 Since I was going to travel to Bangalore for ODSC anyway, I also decided to participate in the pre-conference workshop - Advanced Data Analysis, Dashboards And Visualization. 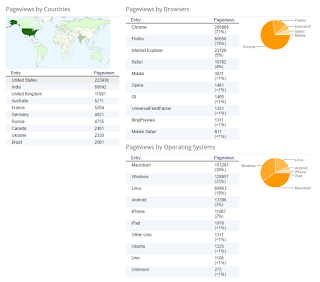 I thought it would be interesting to learn about the What, Why and How of the techniques of Data Analysis, Dashboards and visualization - which would help me as I rebuild / extend TTA (Test Trend Analyzer). 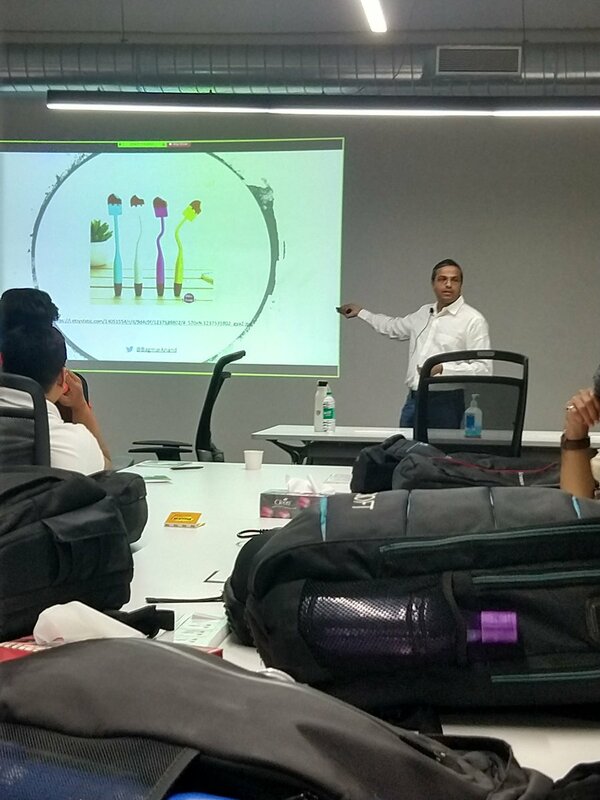 Though the workshop was good, it focused completely on Tableau as a tool and unfortunately did not meet my objectives / expectations. That said, there is another tool I came across in the conference - KNIME - seems interesting and am going to try it out. The conference was good though. I attended a lot of sessions and had lot of hallway-conversations with many interesting people. Typical outcome of attending a conference, some sessions I liked better than others, some were amazing, some were mediocre. Advanced mathematics learnt in colleges has an application in data science. So if children / kids ask why should they study Statistics - here is an answer! There are some interesting case studies and success stories of AI & ML. But these are the same success stories around since quite some time. All the other "noise" of AI & ML so far seems a hype so far. There is a lot of value in understanding historical data better. Based on that understanding, there can be opportunities to forecast the future. There is a huge risk of doing this forecasting, IF % of uncertainty is not included as part of it. However, it is very easily ignored. Understanding of Neural Networks, computing, and algorithms is essential to building intelligent solutions for complex problems. It is not sufficient to get better / accurate prediction results. Being able to explain how and why those results are better / same / worse is equally important. In many cases, this would be a regulatory requirement. Data Science is the "art" & "science" of understanding data better. To do this, we need to first cleanse / prep the data, simplify it using various techniques, and learn techniques to visualize the data. There is a "grammar of graphics" and a "grammar of interactive graphics" - which helps in thinking about data visualization. Deploying these AI / ML solutions to production is not a trivial task - mainly due to the fact of high computing and huge volume of data processing required to make it production ready. 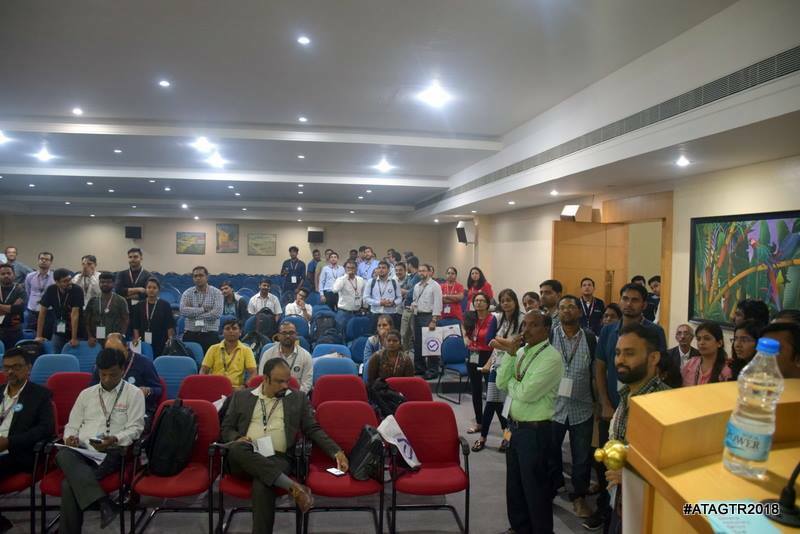 - This is a huge opportunity for the general Software Development / Testing/ DevOps community to solve problems faced by data scientists / people in the data science / AI / ML domain. Earlier, only PhD holder were qualified folks to work on Data Science. Now-a-days, the trend is to get relevant training to interns, and have them work on these problems, and then get the results validated / explained by the PhD specialists. In a nutshell - Data Science, AI, ML are using specialized types of tools and technologies to solve different problems. People / organizations have been doing these activities before the buzzwords were formed / or got popular. So, what is my core takeaway from this? As with any new buzzword, there is interesting work happening in Data Science, AI & ML - but the majority claiming to be in the field are just creating and riding the hype! Find opportunities to investigate and understand the Data Science + AI + ML in more detail. JSON is a great way to specify data / information and, off late, it is the format of my choice to specify test data. Recently, thanks to a friend - Abhijeet Vaikar, I came across a tool - quicktype.io - that helps in transforming the raw JSON (from various sources) directly into custom objects, in a variety of languages. I got to know about this tool at perfect time as I am building a new tool for dynamic logging in Java - AutoLogJ (but more about AutoLogJ later). quicktype.io does what it promises - and it saved me a lot of time to build the custom POJOs for the same. Thanks Abhijeet Vaikar and the quicktype team! Back in 2009 / 2010, I was working on implementing end-2-end tests for a web site using Java / Selenium / TestNG based automation. The challenge I was facing was that the tests used to fail for trivial (but valid) reasons - and I wondered that the test did not even get to core validations before it failed. How will the team ever know about the main issues in the product if the test fails for trivial issues? That was a trigger point for me to think about Soft Assertions - what if there was a way to say if there is a type of failure that I want to know about, but the test can continue with the remaining set of validations - unless something does not make sense to proceed with. Ex: If the text message of a field is incorrect, I can continue. But if login fails, no point in proceeding with the rest of the test. I looked into the TestNG code base, and I could not really find any out-of-the-box support for what I wanted to do. checked-in the jar file as a library artefact in our automation framework. In hindsight, I should have sent that functionality as a PR to the project. But not all is lost, TestNG now (or maybe since some time now) has support for Soft Assertions - out-of-the-box. And it is pretty straightforward to implement / use it as well. See this gist for implementation that you can you use with TestNG (I tested with v6.10). Here is how you can use the Soft Assertions in your tests. Soft Assertions in any other tech stack? What if you are not using TestNG, or Java - rather, what if you are using completely different programming language / tools / test-runner? Can you still use Soft Assertions? Absolutely YES! All you need to understand is the concept, and figure out the best way to implement the same, if any out-of-the-box solution does not exist in that tech stack. 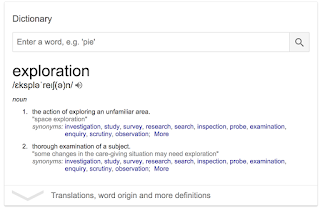 Unfortunately, due to various reasons (some of which were my doing as well), the focus on learning and experimentation got lost ... and I felt awful about it. 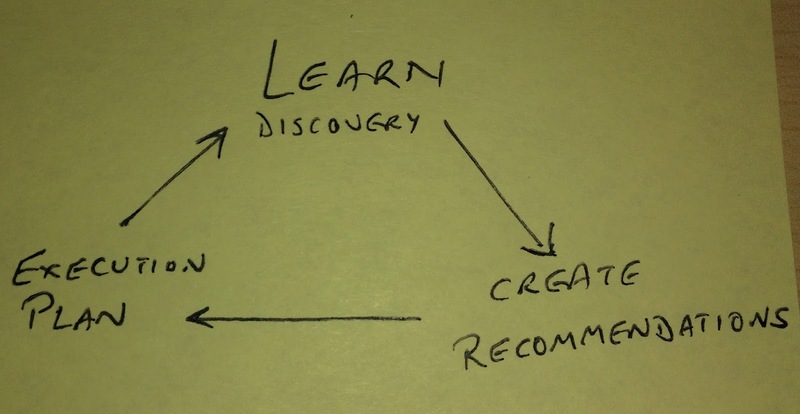 I also shared my pain with some friends and colleagues of unable to find time / opportunity / focus / support to be in the continuous learning phase. But not much could be done / changed in those circumstances. But I am very happy to share that the list is back, and back with a bang!!! The days of learning and experimentation continue. My list is now overflowing, and continuing to grow with ideas and things I want to learn and experiment. In my career so far, I have been very fortunate to have got great mentors, and a variety of opportunities to learn, add value, and share my experiences with others around me. Played a variety of roles - Quality Analyst, SDET (Software Development Engineer in Test), Product Quality Engineer (PQE), Automation Engineer, Consultant, Coach, Project Manager, Director - Quality, Support Engineer, etc. Worked with teams having products in different domains - Health care, eCommerce, Banking / Finance, Retail, Entertainment (OTT), Research, etc. After working as an employee in these organisations for almost a couple of decades now, I have taken a plunge to do something different. I am now looking forward to work with Organisations and Teams, to help co-create optimized solutions towards shipping a quality product. Leave me a message on my blog, or send me an email at abagmar@gmail.com to talk more on how we can work together! As part of this journey, even before I was able to buy my own laptop, and warm it up, I got an interesting consulting assignment, thanks to a dear friend. As I usually do, I started off the workshop with my favorite tool for note taking - Mind Maps! 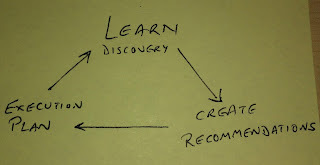 As the conversations evolved and got specific, I started with a Balanced Mind-Map to Fishbone Mind-Map. 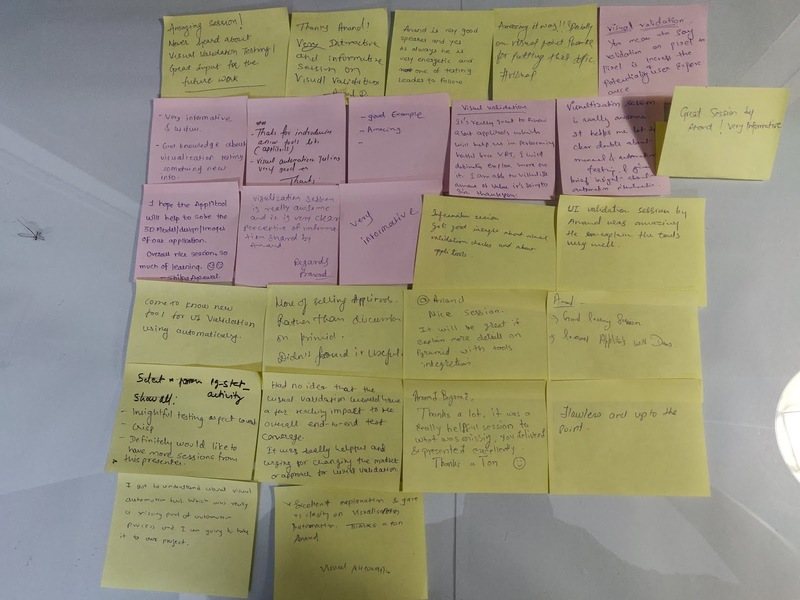 Eventually I consolidated my thoughts and created the Discovery Workshop Report for the client in the form of a slide deck, using the following approach. See & understand the project management tool, quality of requirements, etc. See the code - understand complexity, types of tests written, quality of tests, etc. See the Testing related artifacts - test cases, test execution strategy, exploratory testing, etc. See the CI server - how deployments happen, what causes the builds to fail, etc. In this 2 week time, unknowingly, in retrospect, the whole engagement was quite agile. There were periodic demos of the POCs, regular progress sharing, and changing direction of discovery and recommendations based on learning. The Client also appreciated the quality of conversations, and the results that were shared. All in all, a very satisfying beginning to my new journey with Essence of Testing!